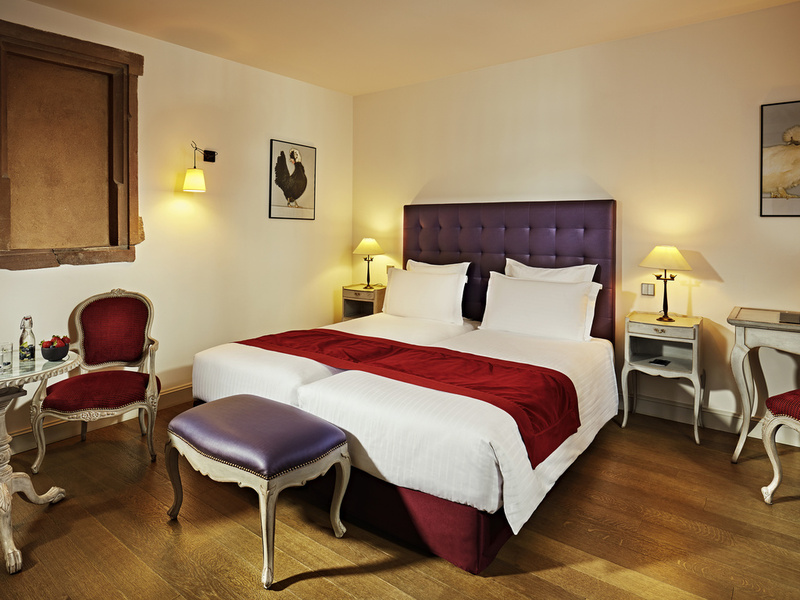 Located in the heart of the European capital, a stone's throw from the cathedral and Place Kléber, the Cour du Corbeau hotel, classified as a historical monument, is the ideal base for discovering Strasbourg. 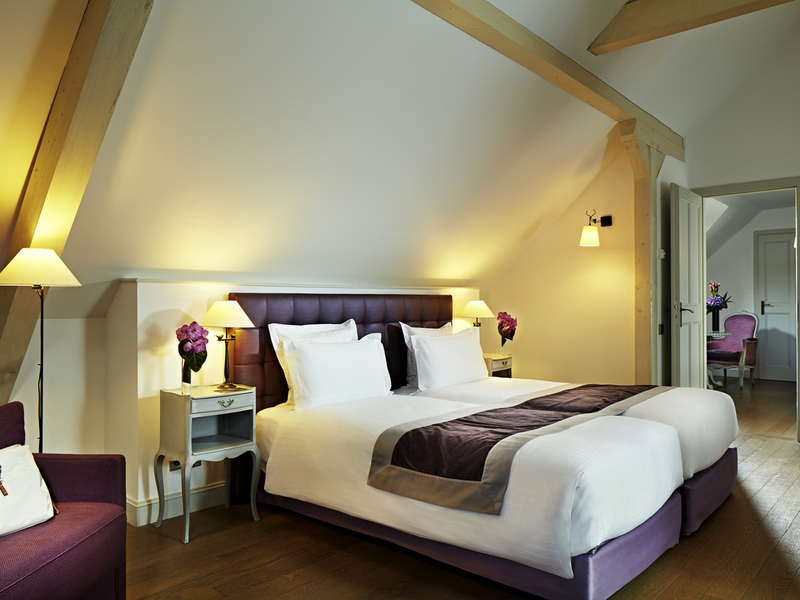 All rooms offer guests a warm and spacious retreat, perfect for relaxation. A unique experience in a refined setting with the mystery of the secrets it holds. Luxurious, calm and serene, the elegant décor features antique furniture and diverse materials such as stone, Vosges sandstone, cobblestones, copper, glass, granite or pebbles. Away from prying eyes, our hotel is a real labyrinth of nooks and passageways where you'll discover something new every time. Let yourself be pampered by our team in a legendary and prestigious setting. ..
Let our attentive, discreet staff pamper you as they fulfill your every request. 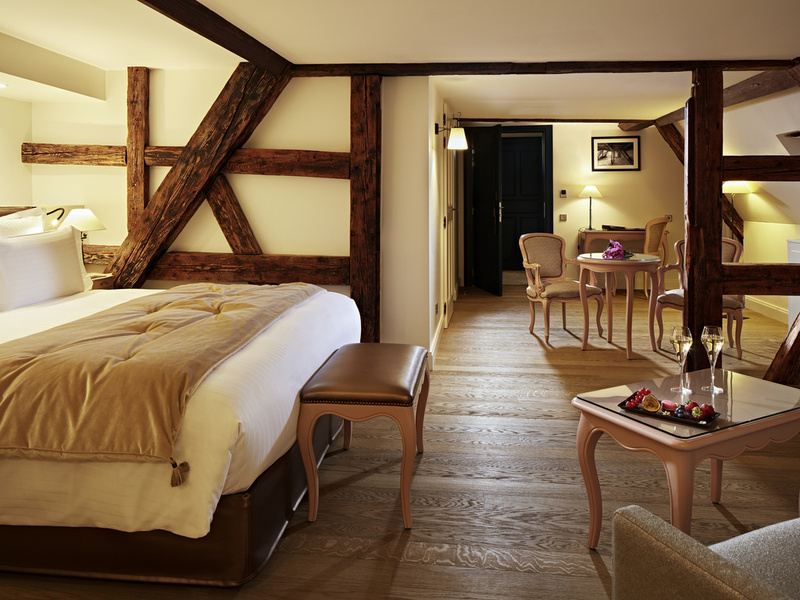 Stay in unique setting that blends 16th century architecture with ingenious modern accents. Take shelter in the calm atmosphere of our interior courtyard, near the Strasbourg Cathedral. This impressive half-timbered building was built in the heart of Strasbourg at the end of the 16th century. Initially a coaching inn, it has welcomed many storied guests over the years, such as the Maréchal de Turenne, Frederick the Great or Voltaire. In the 19th century, the tavern became a glass factory before resuming its original function. Painstakingly renovated in 2009, it is now a stunning example of Strasbourg's Renaissance architecture and the pride of the city. Situated in the historic center of the capital of Alsace, this Neo-Baroque hotel is steps from the cathedral and the banks of the River Ill. Timber framing, arcades, stained-glass windows and a turret combine to create an authentic and warm atmosphere. Set aside from the urban bustle, this history-filled hotel invites you to reflect in total peace and quiet after an engaging tour of the city and its incredible heritage. Give in to relaxation in this iconic prestigious setting. Take exit 4 for Place de l'Étoile continuing to the square of the same name. Go round the square, following signs for Centre Ville. Continue straight over the bridge and turn into rue de la Brigade Alsace-Lorraine. On the right take Jacques-Peirotes, continue on rue de Zurich and turn left onto Quai des Bateliers. Rue des Couples is on your left. There is an intercom post, and the main entrance to the hotel is 109 yards further on. 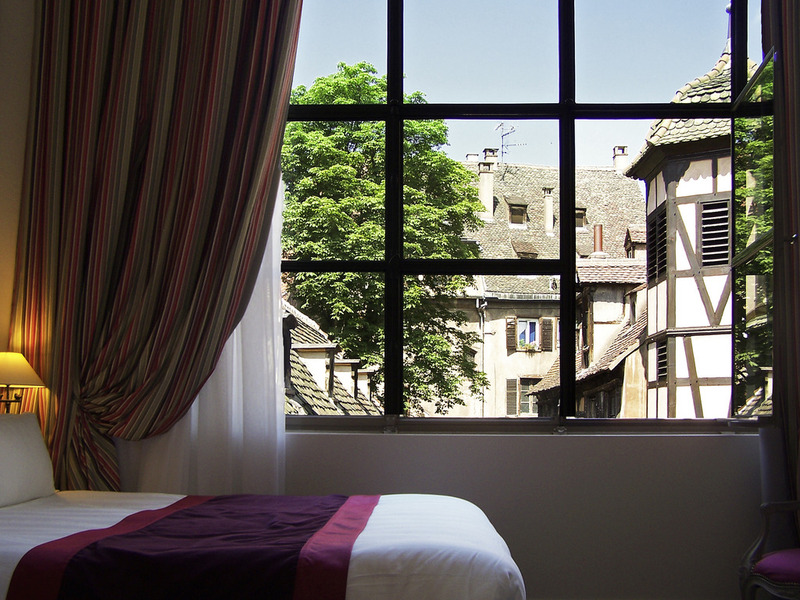 Sleeping in a 16th century inn is just one of the privileges of staying at the Cour du Corbeau. Let yourself be charmed by one of its 63 rooms and suites, and the subtle contrast between the modern rooms and their 16th-century backdrop. As you walk along the gallery overlooking the hotel courtyard, you enter a space with soothing décor, with the natural tones of wood, stone and slate, embellished with colors, sometimes powdered, sometimes shimmering, for a perfectly harmonious effect. In the evening, when the lights illuminate the courtyard, return to a refined room to enjoy a serene night's sleep. 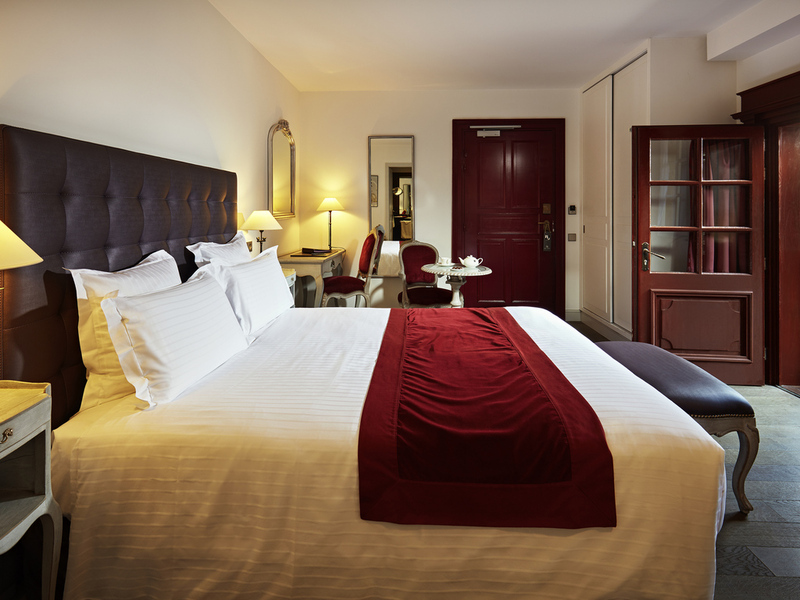 Our Classic Rooms measure almost 248 sq. ft. (23 m²) and combine elegant furnishings in a revisited Louis XV style, sophisticated solid oak flooring and ultra-modern facilities including a Sealy bed and flat-screen television. The decor in this almost 344 sq. 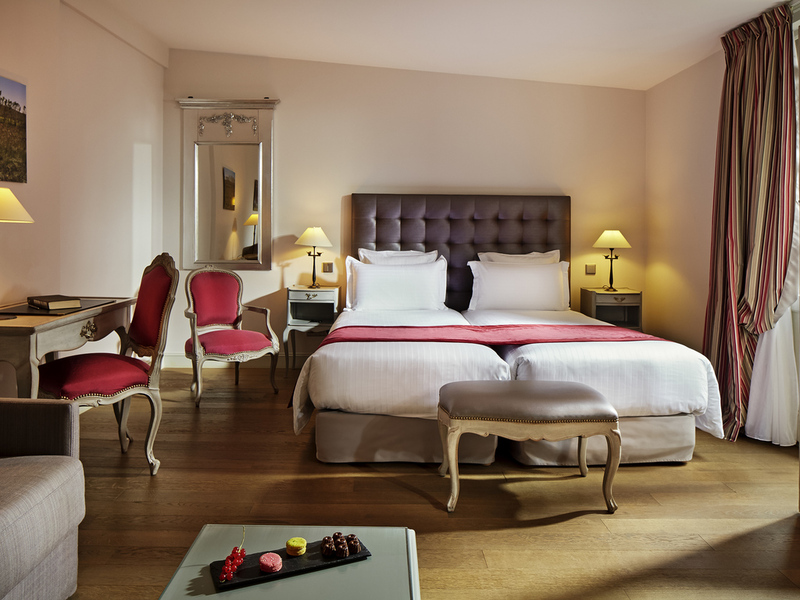 ft. (32 m²) room combines elegant Louis XV style furniture, sophisticated solid oak flooring and ultra-modern facilities with a Sealy bed and flat-screen television. Our Junior Suites measuring approximately 398 sq. ft. (37 m²) are spacious and offer a personal living space, which is ideal for families. These elegant Junior Suites also offer other touches such as a flat-screen television. These 431 sq. ft. (40 m²) Suites offer two elegant rooms for enhanced privacy and comfort and have a flat-screen television. If you want to enjoy a meal or drink in the comfort of your room, the hotel offers a selection of dishes prepared by an artisan cook, available at any time. Each afternoon, take your place around a table in the friendly bar to enjoy a pastry while checking your emails. A peaceful business center. Alsace cuisine is no secret for our teams as they share their favorite recipes with you. With our gourmet meals and regional flavors, there is always something you'll love. For food lovers, we have selected the best pastry chefs in the region, for the curious, we have chosen teas from the 4 corners of the Earth, and for those in a hurry, we'll slip in a mignardise with your coffee. A buffet of local discoveries and French refinement that will take you back to your childhood or provide your fill of vitamins: Kougelhopf, pretzels, rose hip preserve, seasonal fruit, organic cereals and more. The hotel bar is the perfect place to relax in a sumptuous wood and leather setting. At the end of the day, enjoy one of the inventive cocktails created by our imaginative bartenders. An exceptional location combining history and modernity - a haven of peace in the heart of the city. Our discreet and attentive team will take care of your every need. In the summer, enjoy the terrace in the shade of the 16th century stone walls. Cherish your first moments of newlywed bliss together in this eminently romantique setting. The hotel welcomes you with a bottle of champagne and treats you to breakfast in bed. No need to hurry - for you, check-out is at 2pm. 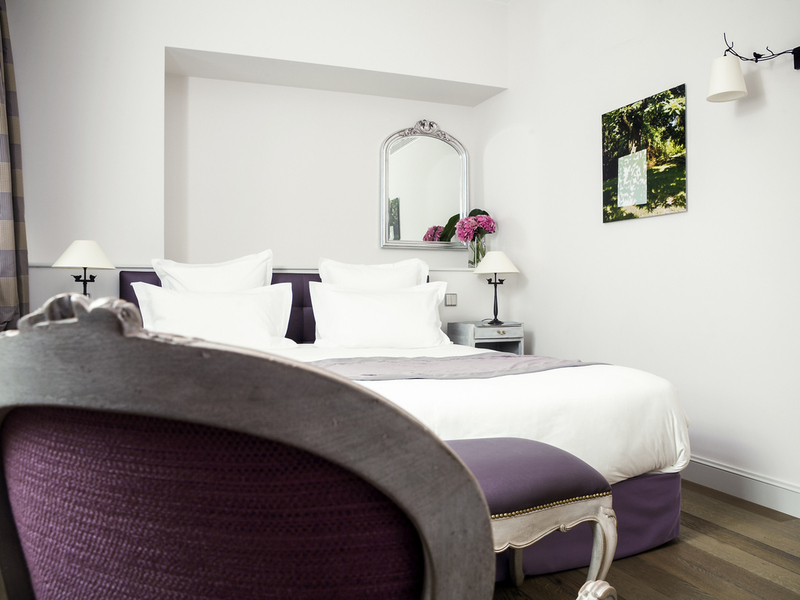 Located in the historical center of the European Capital, the Cour du Corbeau is an ideal base for discovering the city. The restaurants, bars and shops are accessible on foot, as are the museums and main tourist attractions. A city of art and history and a UNESCO World Heritage site, the center of Strasbourg is remarkable. Let our team guide you through its narrow cobbled streets, lined with half-timbered houses, and the hidden treasures they contain.